Diva Devotee: Whitney Houston Dies today :The world mourns the loss of another legend. Whitney Houston Dies today :The world mourns the loss of another legend. American singer and actress Whitney Houston has died at the age of 48, her publicist Kristen Foster has said. The cause and the location of her death were unclear, Ms Foster told the Associated Press news agency. I honestly am in shock right now. The world has lost one of the greatest voices that ever existed, and I have lost one of my biggest inspirations for creating this site. Rest In Peace, Whitney Houston. You will live on through your music and your daughter Bobbi Kristina. 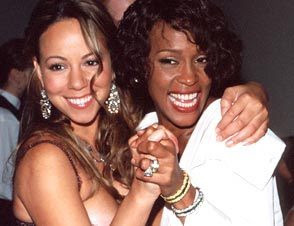 Mariah Carey : Heartbroken and in tears over the shocking death of my friend, the incomparable Ms. Whitney Houston. My heartfelt condolences to Whitney's family and to all her millions of fans throughout the world. She will never be forgotten as one of the greatest voices to ever grace the earth. Ameriie: Such terrible news to hear of Whitney Houston's passing. She gave the world so much happiness. God bless her and her family at this time. Alicia Keys: I feel sick.... Life is precious, we are fragile souls. Let's love each other! I miss you beautiful Whitney, the whole world misses you!! Aretha Franklin: I just can’t talk about it now. It’s so stunning and unbelievable. I couldn’t believe what I was reading coming across the TV screen.My heart goes out to Cissy, her daughter Bobbi Kris, her family and Bobby. Barbra Streisand: She had everything, beauty, a magnificent voice. How sad her gifts could not bring her the same happiness they brought us. Beyonce [statement]: The loss of Whitney Houston is painful. I remember meeting Whitney for the first time when I was 15. She was the ultimate legend. The ultimate woman. Not only was she confident, poised, stunningly beautiful and intelligent, but she was sincere and kind. She took the time to make everyone feel like they were very important to her. I, like every singer, always wanted to be just like her. Her voice was perfect. Strong but soothing. Soulful and classic. Her vibrato, her cadence, her control. So many of my life's memories are attached to a Whitney Houston song. She is our queen and she opened doors and provided a blueprint for all of us. God bless her. Ciara: RIP Whitney Houston. A Legend lost:( Her voice was insurmountable, her smile was illuminating, she was truly one of a kind and a huge inspiration to me. She has always had sweet with her, forever. This is truly unbelievable. My prayers and condolences to her family at this sad time and fun words to say to me. I will cherish the moment I was able to share. Chaka Khan: I'm speechless...I'm in shock right now. Just pray for her and the family. Chrisette Michele: It was hard to sing tonight and think of Whitney at the same time. Chicago you were a beautiful audience. I love you. Diane Warren: My thoughts and prayers for Whitneys' family. The voice of our time is now silent. RIP Whitney. Janet Jackson: My deepest condolences to Whitney's family and loved ones. Jazmine Sullivan: My heart... I'm so sad. Jennifer Lopez : Such a loss. One of the greatest voices of our time. Sending out prayers to her family... #R.I.P.Whitney. Jill Scott: I can't. Whitney? No. NO!!! Kelly Price: My heart is so heavy.....#WHITNEY my friend. Kelly Rowland: I am beyond heartbroken. Whitney Houston was undoubtedly one of the greatest singers & performers of all time & such a huge influence on me. She embraced me when I first started out with Destiny's Child, with love, with encouragement and with that powerhouse voice. My deepest sympathies and prayers go out to her daughter, her mother and to all of her loved ones. Lil' Kim: A voice, a talent, and a spirit that will forever remain incomparable. RIP to the Queen, Whitney Houston. Patti LaBelle [via Facebook]: My heart is broken and words cannot fully describe how I feel. Whitney Houston was a star in every sense of the word. Class and beauty personified. And her gifts and talent literally changed the world. She will truly and forever be missed. My heart and prayers are with her daughter, her mother, her loved ones and her fans all over the world. Queen Latifah:Oh Dear Lord! Hurting so Bad!!! MY Sister Whitney!!!!!!! Newark please Pray!!! World Please Pray! Solange Knowles: At this time, the question is not how she went... It is how she will be remembered. I will always remember Whitney Houston as a true legend.I will always remember Whitney Houston as a true, outstanding, talent. A radiant beauty. A magical smile. A voice that made you shiver. Tweet: My heart is hurting right now OMG!!!!! 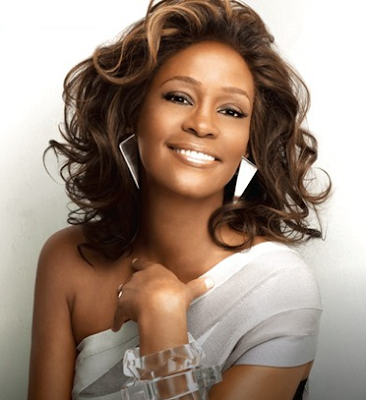 Yolanda Adams: Sadden by the loss of Whitney, Please keep the family and especially Bobbi Christina in our prayers. I can't believe this. It seems like divas are dying out left and right now. Terrible news - I feel so sorry for her daughter. Really was something special, that voice. Im still in denial about this. It can't be true...it just can't. Whitney... sad day today. my childhood idol. The greatest love of all, the one from your fans and me will always be with you. Extraordinary, great talent. I really feel for her daughter.Very sad news. I know....nobody will ever be able to emulate her! Truly exquisite! The loss of Whitney Houston is painful. I remember meeting Whitney for the first time when I was 15. She was the ultimate legend. The ultimate woman. Not only was she confident, poised, stunningly beautiful and intelligent, but she was sincere and kind. She took the time to make everyone feel like they were very important to her. I, like every singer, always wanted to be just like her. Her voice was perfect. Strong but soothing. Soulful and classic. Her vibrato, her cadence, her control. So many of my life's memories are attached to a Whitney Houston song. She is our queen and she opened doors and provided a blueprint for all of us. God bless her. Thank you for that hannah. will add. I enjoy singing. Whitney Houston was the reason I started, she was my inspiration. RIP Whitney!